Enjoy the latest technology for cinema seats: motion seats to live the film in a unique and surprising experience. You will not remain indifferent. D-BOX has revolutionized the way people watch movies by delivering an unparalleled in-theatre experience. 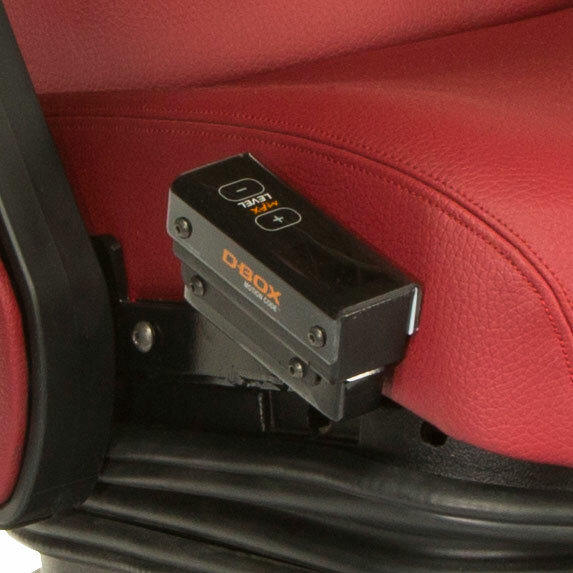 D-BOX is a motion system integrated in special seats synchronized with the image and sound of the film by means of a special frequency band. This technology plunges the spectator directly into the film, turning him into part of the action. The exclusive seats with D-BOX system offered by Euro Seating allow the spectator to enjoy the film in a unique and different way from the rest of seats not offering D-BOX technology. 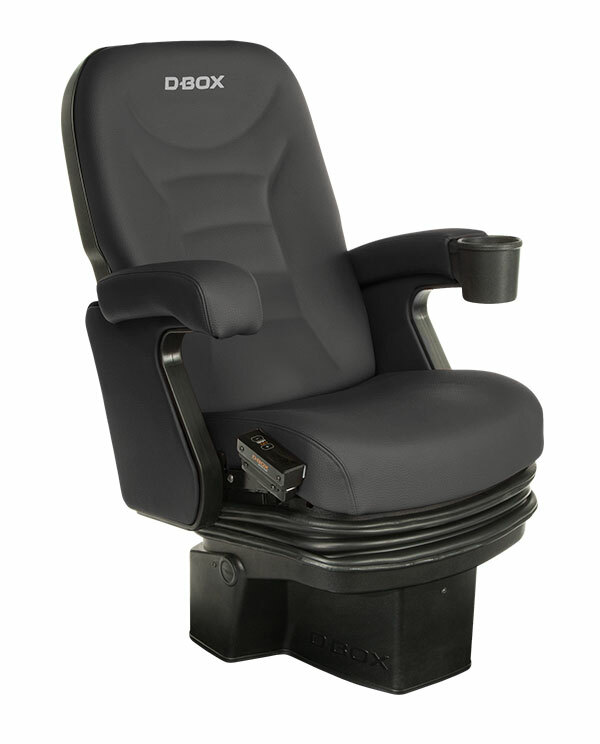 Our seats with D-BOX system also have a control to allow the very spectator adjust the movement intensity, which is always smooth but effective, so the spectator enjoys a permanent enhanced sensory experience, without distracting him from the film action. These movements make the spectator to move forwards and backwards, sideways, upwards and downwards. This is why D-BOX boosts special effects such as IMAX, 3D, etc., thus achieving a unique experience which combines motion and emotion.